The Holocaust is one of the most shameful events of world history. Never before, and never on such a scale have so many people been systematically murdered and tortured. On these pages I consider the limits of language when faced with the historical trauma of the Holocaust. Already in 1949, Theodor Adorno announced that "writing poetry after Auschwitz is barbaric" because the old language of poetry could only serve to glorify the Holocaust; a new language, a new poetry was needed, he argued. Can such an event ever be represented or is the best response, as some have argued, silence? On account of the magnitude of the Holocaust, many theologians have re-examined the classical theological views on God's goodness and actions in the world. Some believers and apostates question whether people can still have any faith after the Holocaust, and some of the theological responses to these questions are explored in Holocaust theology. Nach Auschwitz ein Gedicht zu schreiben, ist barbarisch. Theodor W. Adorno 1949: "Kulturkritik und Gesellschaft"
In 1949, Theodor Adorno announced that "writing poetry after Auschwitz is barbaric" because the old language of poetry could only serve to glorify the Holocaust; a new language, a new poetry was needed, he argued. In the nearly sixty years since the end of WWII thousands of texts have been written about the Holocaust and the experiences of those who survived, some of which, it could be argued, attempt to meet Adorno’s challenge. Yet even then Adorno’s statement lingers, haunting the attempts at understanding by survivors and theorists alike. Can such an event ever be represented or is the best response, as some have argued, silence? How can the The Food of the Dead for the Living by David Olère experience of the Holocaust be written when, as Arthur A. Cohen argues, “The death-camps are a reality which, by their very nature, obliterate thought and the human program of thinking”? The pink triangle has become one of the symbols of the modern gay rights movement, but it originated in Nazi concentration camps during World War II. In many camps, prisoners wore badges. These badges were colored based upon the reason for imprisonment. In one common system, men convicted for sexual deviance, including homosexuality wore a pink triangle. The icon has been reclaimed by many in the post-Stonewall gay rights movement as a symbol of empowerment, and, by some, a symbol of rememberance to the suffering of others during a tragic time in history. This iconoclastic study was one of the most widely debated books of 2000. Finkelstein indicts with both vigor and honesty those who exploit the tragedy of the Holocaust for their own personal political and financial gain. In a devastating new postscript to this best-selling book, Norman G. Finkelstein documents the Holocaust industry's scandalous cover-up of the blackmail of Swiss banks, and in a new appendix demolishes an influential apologia for the Holocaust industry. 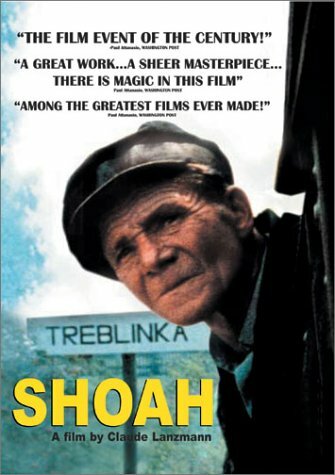 To write a review of a film such as Shoah seems an impossible task: how to sum up one of the most powerful discourses on film in such a way as to make people realize that this is a documentary of immense consequence, a documentary that is not easy to watch but important to watch, a documentary that not only records the facts, but bears witness. We are commanded "Never forget"; this film helps us to fulfill that mandate, reverberating with the viewer long after the movie has ended. Yes, Holocaust films are plentiful, both fictional and non-, with titles such as The Last Days, Schindler's List, and Life Is Beautiful entering the mainstream. But this is not a film about the Holocaust per se; this is a film about people. It's a meandering, nine-and-a-half-hour film that never shows graphic pictures or delves into the political aspects of what happened in Europe in the 1930s and '40s, but talks with survivors, with SS men, with those who witnessed the extermination of 6 million Jews.